Thanks to those who linked up last week. There were SO many amazing links it was difficult to chose. This week we each chose 6 features. Please take a look and click through to see their great items! 1. 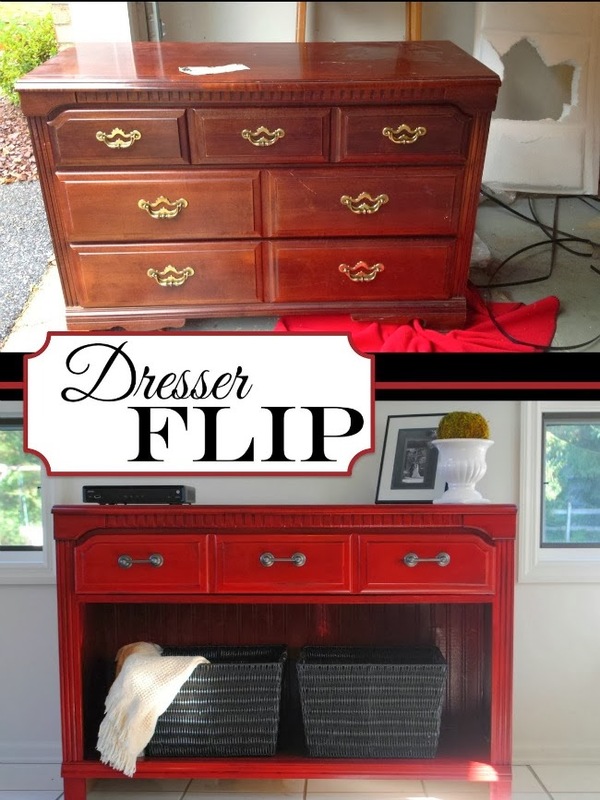 Melissa from 2IY shared this amazing Dresser flip. Can you believe it is the same dresser? It is simply breathtaking! 2. 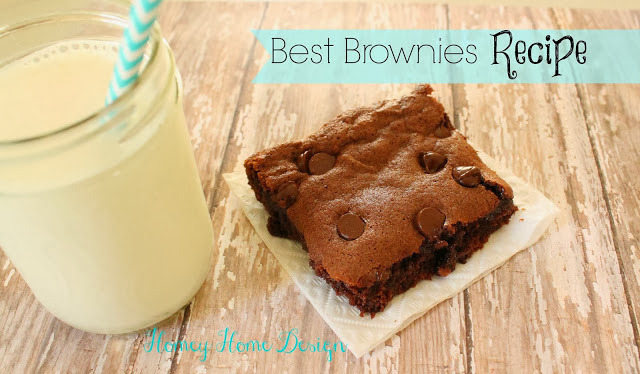 Jody from Homey Home Design shared this homemade brownie recipe. Who doesn't love a warm brownie this time of year. YUM! 3. 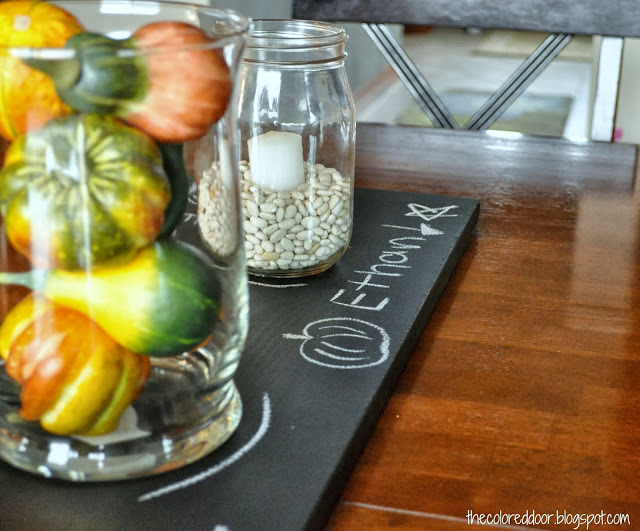 Tammy from The Colored Door shared this adorable Chalkboard Runner. My kids would love this on the table. How fun to sketch on the table! 4. 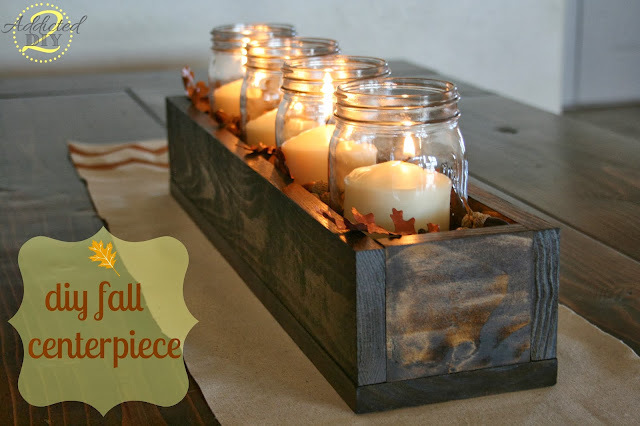 Katie from Addicted 2 DIY shared this great DIY Fall Centerpiece. How warm and cozy? I love the woodworking and the chevron table runner (check out what she made it out of, so creative)! 5. 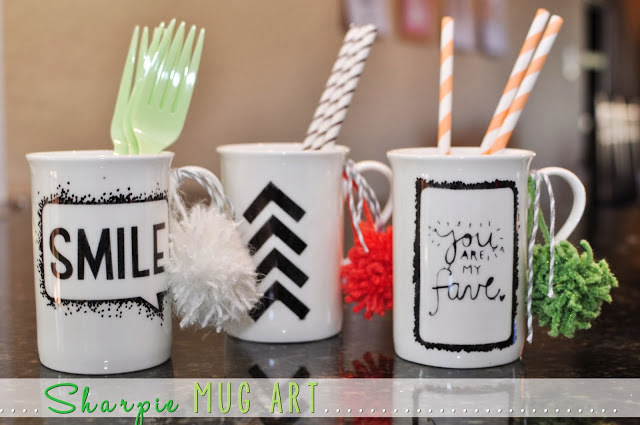 Amy from Delineate Your Dwelling shared these great Sharpie Mug Art cups. How fun would this be for a Christmas gift? I am so making some! 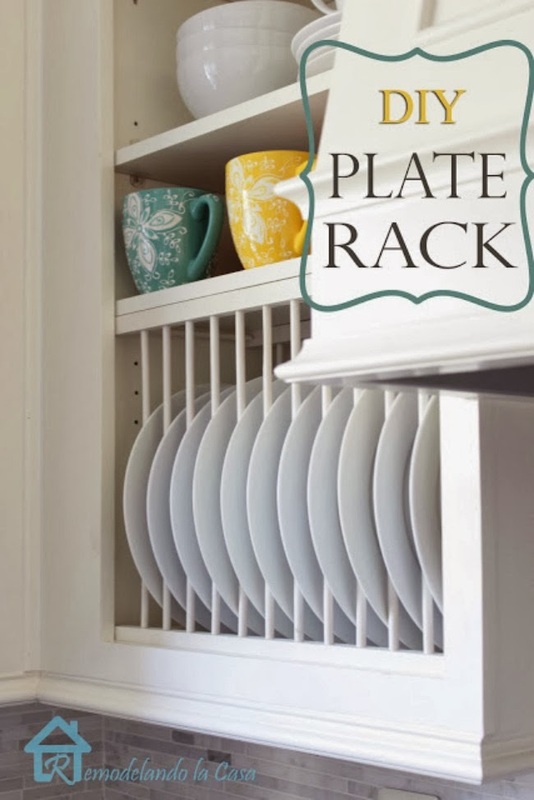 6.Cristina from Remodelando la Casa shared her DIY Plate Rack. She removed the cabinet door and created this beautiful addition to her kitchen, you have to check it out! 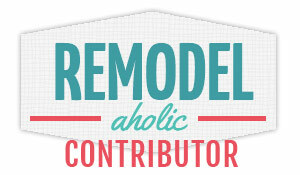 Link to your Pinterest Profile Page. Thank you so much for the lovely feature! I love the other featured links as well! So many great ideas. 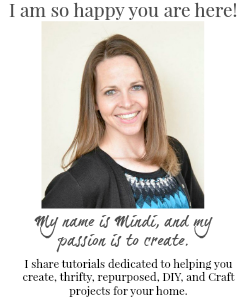 Mindi, thank you so much to you and Pam for hosting the party - and for the kind invitation! Have a happy Friday and a wonderful weekend!